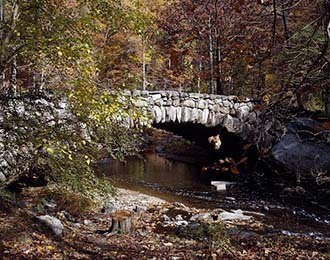 Rock Creek Park is one of the nation's first federal parks, founded in 1890. With over 20 miles of dirt trails within its perimeters, the park is the ultimate urban escape. Rock Creek Park is not your typical city park, the wooded environment allows for chance encounters with red foxes, white-tailed deer, and blue herons within the nation's capital. For those preferring a more manicured out-of-doors experience, Dumbarton Oaks and Meridian Hill park feature lush gardens and beautiful stone bridges and walkways. Information and exhibits are available at the Rock Creek Nature Center and Planetarium. For the historically inclined, the Peirce Mill and Old Stone House give a glimpse into 18th and 19th century living in the District.